Nairobi (Agenzia Fides) – A society cannot be united if it loses its moral values. We learn from the Bible that Sodom and Gomorrah (Ezekiel 16:48-50) became a symbol of a decadent society, whose moral fabric was systematically eroded” the Bishops of Kenya write in a statement issued at the end of their plenary assembly, in which they assess the present state of the country . In the document sent to Fides the Bishops denounce various forms of threats: child abuse; child pregnancy; abortion. “United with the Holy Father and all the bishops of the world we are close to the victims of sexual abuse and all forms of violence against minors and vulnerable adults”. “The violence and evil committed against minors and vulnerable members of a society is a sign of a morally sick society. As your shepherds we shall do everything possible to implement policies on child protection and safeguarding of these vulnerable members and require all who work with minors to commit themselves to these policies”. Another issue denounced by the Bishops is promiscuity and increased cases of pregnant school girls rise in cases involving abortions, often encouraged by the media . 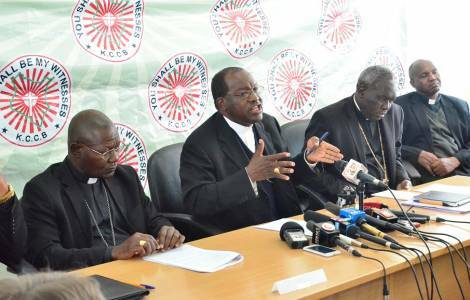 “Let us be wary of multinational companies and commercial adverts that advocate freedom of choice and easy solutions of self-exaltation that goes against the very moral law of God ” the Bishops warn. Wasting of public monies leads to public services of scarce quality with taxation striking the weaker members of the population, the Bishops recall.